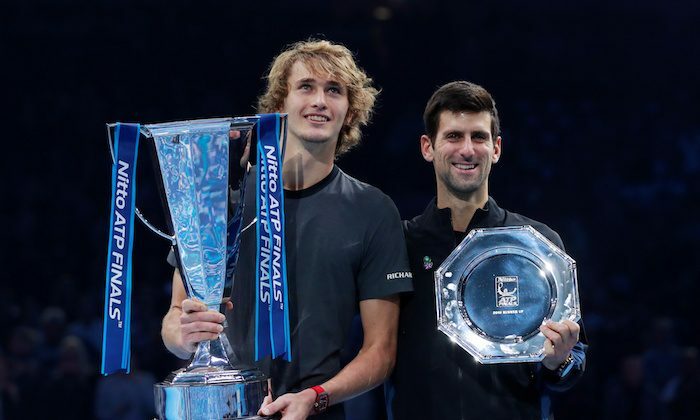 LONDON—Twenty four hours after being booed for having the audacity to take down a tennis great, Alexander Zverev returned to topple another one as he stunned Novak Djokovic to win the ATP Finals title on Sunday. “I really can’t describe it. It is the biggest title I have ever won,” Zverev said on court after becoming the first German to win the ATP’s most prestigious title — often referred to as ‘the fifth slam’ — since Boris Becker in Frankfurt in 1995. 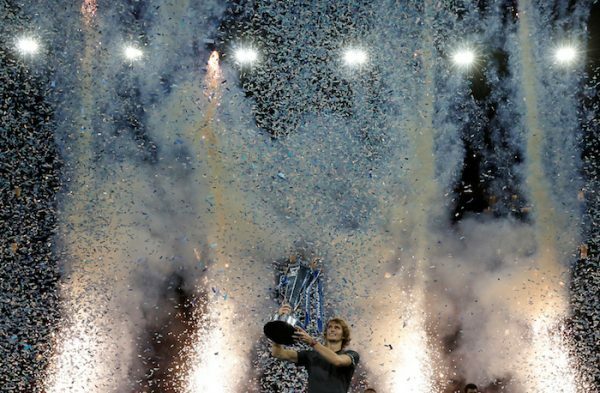 In becoming the youngest ATP Finals champion since Djokovic, also 21, in 2008, Zverev sent out a clear message that he is ready to spend a considerable amount of time at tennis’ top table and start accumulating the game’s biggest prizes. Djokovic, whose error-strewn display was a shock after a dominant week in south east London which included an easy round-robin win over Zverev, sportingly walked around the net to congratulate his conqueror after match point — the German still laying on his back in a state of disbelief. His forehand, often regarded as a weakness, was armor-plated and he showed a refreshing willingness to attack the net — a skill he perhaps has learned from his brother. The opening eight games resembled a boxing match with both players probing for weaknesses — although it was evident that Zverev’s packed the more powerful punches. Zverev took his opportunity in emphatic fashion, blasting down three consecutive aces then winning the set when another Djokovic forehand flew long. The crowd still expected a Djokovic fight back but it never materialized and at 3-5 the 31-year-old crumbled, serving a double-fault to help Zverev earn two match points.